The Singapore Yacht Show is just a short drive away from many of the city’s shopping meccas, offering shopaholics, trend-seekers and bargain hunters another opportunity to pick up their next great deal. Like its culinary equivalents, there are plenty of shopping options from luxury, high-end brands at the world-famous Orchard Road to up-and-coming local designers in the quaint back alleys of Arab Street and main lanes of Victoria Street. 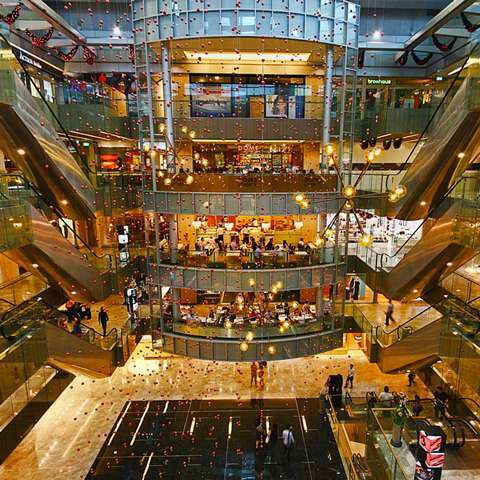 High street brands and unique boutiques can also be found in shopping malls at Bugis Junction, Raffles City, J-Gateway and nearby VivoCity. For a modern, developed city, Singapore also celebrates and makes space for gardens and natural environs. The Singapore Botanic Gardens is the first and only tropical botanic garden on the UNESCO’s World Heritage list – and for good reason! 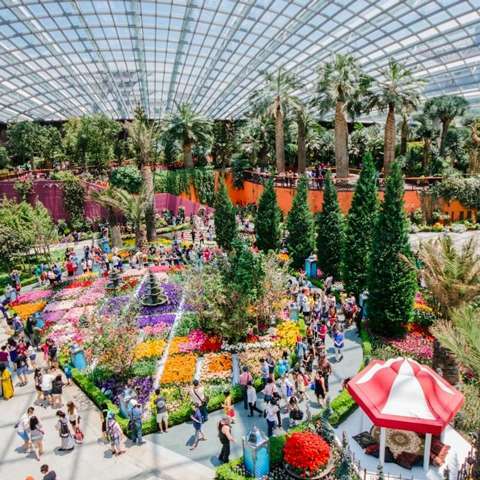 One of its speciality gardens, the National Orchid Garden is where you can find the Vanda ‘Miss Joaquim’ orchid, Singapore’s national flower, just one amongst over 1,000 species and 2,000 hybrids on display. Further north, the Singapore Zoo, the River Safari and the Night Safari are on the banks of the Upper Seletar Reservoir and cover a staggering 73 hectares. Leading the region in nature conservation, the Singapore Zoo has been operating for over 40 years, houses 2,800 animals and represents over 300 species. 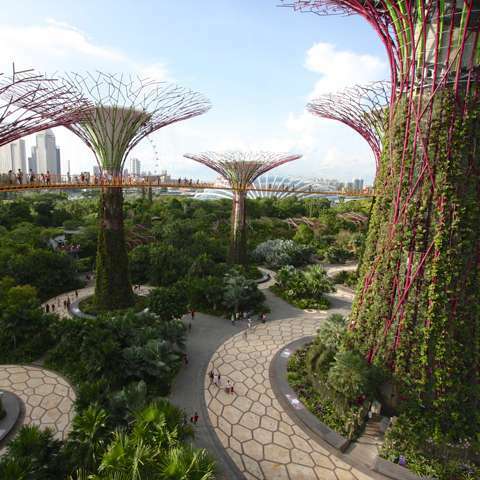 Spanning 101 hectares, Gardens By The Bay is another nature park which you can enjoy. Conveniently set in the heart of the city, be awed by its breath-taking outdoor and indoor gardens, award-winning conservatories and iconic supertrees and its 3km waterfront bay. 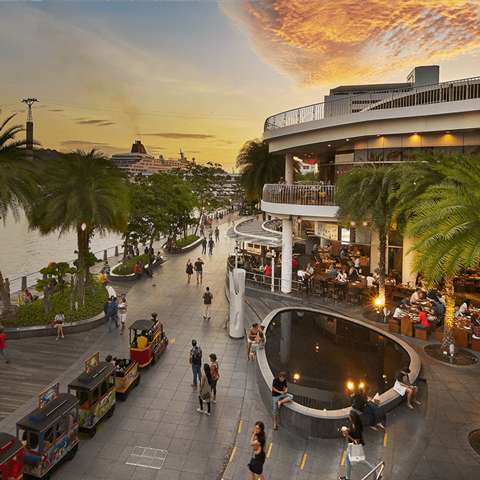 This attraction is a must-visit oasis amidst the hustle and bustle of Singapore. If adrenaline is what you’re after, visit Universal Studios Singapore, a theme park located within Resorts World Sentosa, just a shuttle ride away from the Show venue – ONE°15 Marina Sentosa Cove. There will be plenty of time to explore all these culinary delights, nightlife and more when you plan ahead with our SYS APP – the Singapore Yacht Show happens from 11 – 14 April 2019 from 15:00 to 21:00.